CuO thin films were successfully deposited using a simple, cost-effective and nearly room-temperature successive ionic layer adsorption and reaction routes. The material has been characterized using x-ray diffraction, field-emission scanning electron microscopy and transmission electron microscopy. Increase of grain size and decrease of microstrain were observed for a particular level of dipping (30 cycles) and further increase in dipping cycles shows a reverse tendency. The effect of the dipping cycle of the synthesized films on their supercapacitive, photocatalytic and ethanol-sensing performance were investigated. A 30-cycle dipped CuO thin film-based electrode provides a maximum specific capacitance of 585 Fg−1 at the voltage scan rate of 2 mVs−1 from cyclic voltammetry measurement and 554 Fg−1 at a current density of 1 Ag−1 from the charging to discharging curve. This electrode exhibited long-term cycle stability with 92.3% capacitance retention after 4000 cycles. CuO films synthesized for 30 dipping cycles showed the highest photocatalytic activities with 91.1% degradation of methylene blue under exposure to visible light of 200-W energy in a time duration of 4 h. Maximum sensitivity of 67% in the presence of 1500 ppm ethanol at the operating temperature 160°C was obtained for 30 dipping cycles film. Such attractive properties of low cost and facile synthesized CuO thin films makes them a suitable candidate for different commercial applications. Mahima Ranjan Das acknowledges University Grants Commission (UGC), India for proving Junior Research Fellowship (Ref. No. 21/12/2014(ii)EU-V) during the work (IF140920). The authors acknowledge the instrumental support from Department of Science and Technology (DST), Government of India under FIST (Fund for Improvement in Science and Technology) programme (Grant No. SR/FST/PS-II-001/2011). Sachindranath Das (IFA-13-PH-71) wish to thank Department of Science and Technology (DST), for financial support. 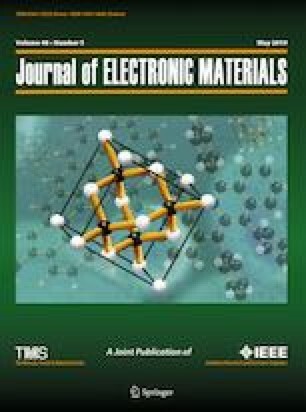 The authors also acknowledge Siyasanga Mpelane, Department of Chemistry, Johannesburg University, South Africa for TEM measurement.